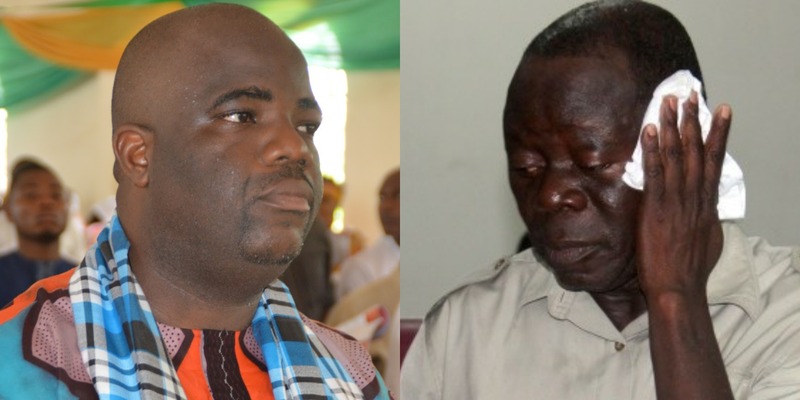 Speaking through the state chairman, Daniel Nwafor, the Imo APC has called on security agencies to investigate bribery allegations involving its National Chairman, Comrade Adams Oshiomhole, and Senator Uzodinma. “There are a lot of allegations of money changing hands, which I think the security agencies should investigate. “I have called a press conference here sometime ago and said that Hope Uzodinma is not a member of our party. “But because the party needed to move forward, we allowed certain things and rules to go. “Hope Uzodinma we also challenge him now is not a member of this party. “However, we have to allow certain things to be in the interest of peace in the party. He further described Oshiomhole as a reckless rascal for daring to ignore a valid court order restraining him from tampering with the state structure of the party. “Two weeks ago, the governorship candidate of our party, Sen. Hope Uzodinma in connivance with Adams Oshiomhole requested that the state exco, the LGA and ward executives of the party should be dissolved. “Sen. Hope Uzodinma said that he could not win elections in the state with the present party structure and requested Adams Oshiomhole to dissolve the party structure. “At that meeting with candidates, state chairmen and state secretaries I also warned that if he grants the requests of Sen. Uzodinma in dissolving the entire state structure that he will taking the Imo APC 15 steps backwards. “But as usual the National Chairman having already formed an alliance with Sen. Uzodinma, there are a lot of allegations of money changing hands, which I think the security agencies should investigate.